Was at the traffic light today said to my wife. “What can be my photo of the day?” I then “looked” out my window and spotted this image. I had seen it many times before, but today I really “saw” it. 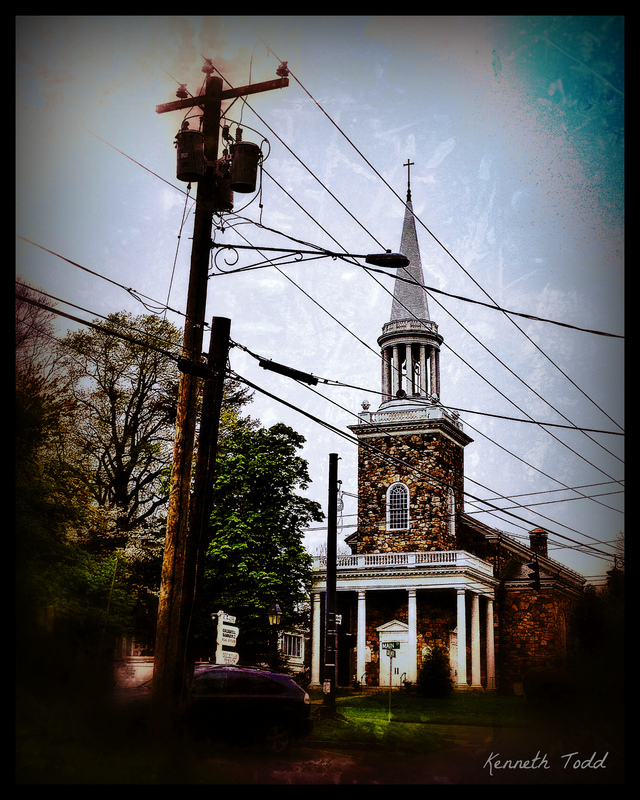 I love the way the lines of the electricity poles run in front of this beautiful church. Despite the ugliness of these lines, they cannot detract from the beauty of the building. I shot this with my iPhone again and used Snapseed to edit the image. Really good and you’re right; beauty can’t be diminished unless we allow it. I love the effect in the sky. Very nice. I like it, the effect is very cool, and the title fits here. Your use of vignette and the power lines in the foreground is very effective.